this month is filled with balloon goodness. 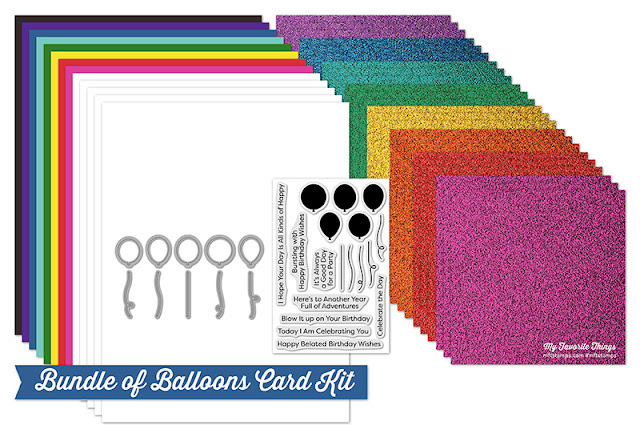 Here's a peek at Bundle of Balloons. three sheets of 8 bright colors, and it's what I used on today's card. 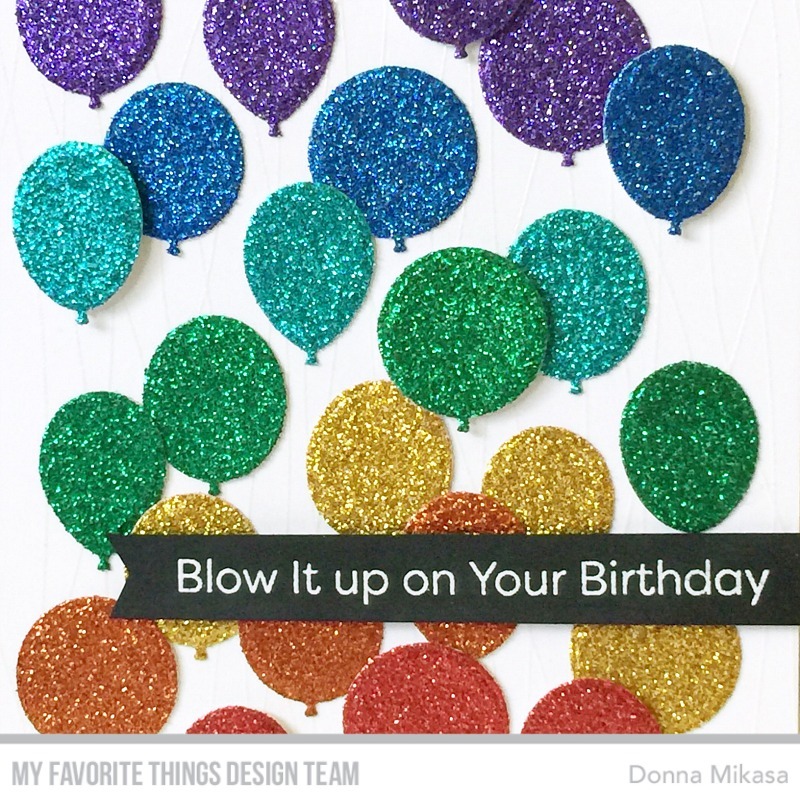 was white embossed on a strip of Steel Grey card stock and popped up over the balloons. I tried to capture the shine on the balloons, and believe me, they do sparkle! 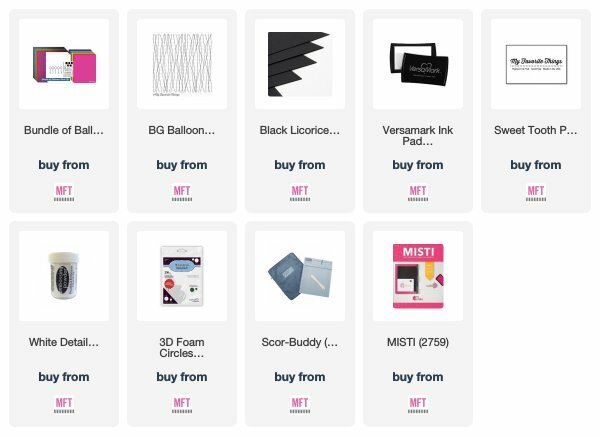 Tuesday, July 24th at 9PM EST in the MFT Store! I really like all of your sparkly balloons! Such a great card! Wish my bday was coming up! I love the white embossed on white card stock for the strings, very cool idea! The glitter card stock in this kit is amazing, love your card. Love this card. The glitter papers are gorgeous. I love your rainbow glitter balloons. So colorful and beautiful! Up is one of my favorite movies. I can imagine Mr. Frederick balloons in these wonderful glitter colors. Amazing! 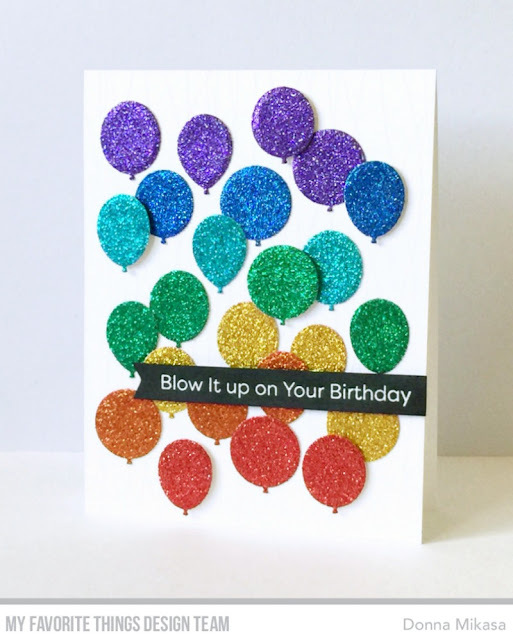 Who doesn't love balloons, and especially when they co.e in assorted rainbow colors! How delightful! Also, LOVE your use of the rainbow strings background stamp, embossed in white. Great job! Thanks for sharing!